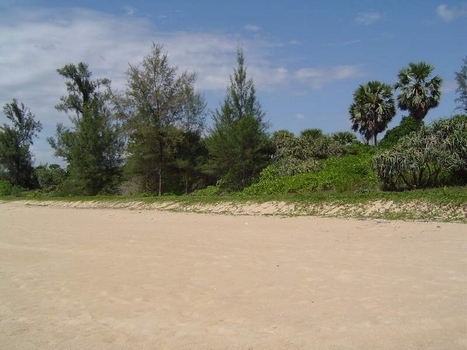 This is a beach front plot of 50 Rai located at Pilai beach, Phang Nga. 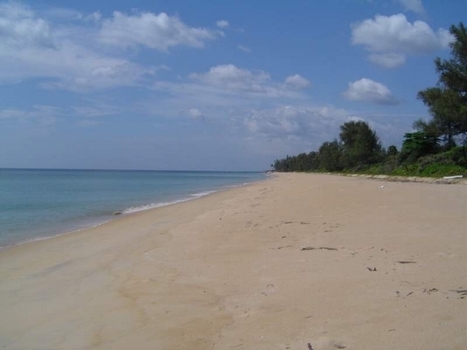 Ocean frontage is about 164 meters and the depth of the land is about 460 meter. The shape is close to a true rectangle. The plot is facing west so towards the sunset. The land is very flat with slight undulations. Currently it has a mix of coconut trees and other trees. It is priced at 7 million Baht per Rai. The title is Chanote.